Football Manager and Total War publishers Sega are looking to expand their reach into digital and mobile phone games and concentrate on PC games, according to Gamasutra. The announcement follows poor financial results for 2011, which saw Sega’s overall software sales slump by 1.5 million year-over-year. The Japanese gaming giant blamed weak demand in the home video industry for the results, with particularly low sales in the US. However, mobile game sales increased: Android and iOS MMO strategy title Kingdom Conquest shifted more than 2.5 million downloads last year. As a result, the company is founding a new subsidiary, Sega Networks, to specialise in mobile content. PC gamers needn’t worry, either: Sega have recognised that the Football Manager and Total War franchises are lucrative money-spinners, and these were backed up with strong sales of Sonic Generations and Virtua Tennis 4. The PC figures very highly in Sega’s plans for this fiscal year, and the company seems to be focussing on it above consoles. 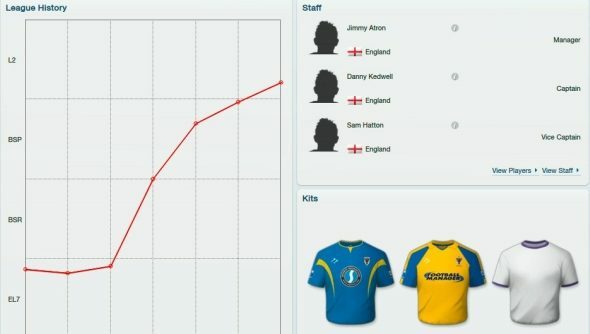 The latest Football Manager and Shogun games are nigh-on constantly in the Steam top 20 at the time of writing, and according to Sega Football Manager 2012 sold an impressive 710,000 copies across the PC and PSP. However, it also looks like Sega may ditch PC retail units altogether in order to concentrate on digital distribution.